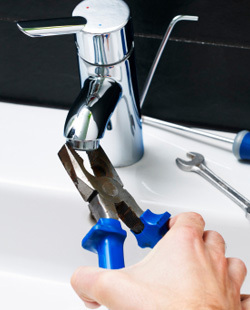 Established in 1917, Torrance Plumbing & Heating has been serving the local area for generations, and we continue today in the tradition of quality, affordable plumbing services that Torrance and the greater Los Angeles area have trusted for nearly 100 years. As a family owned and operated company, we pride ourselves in being local, affordable, and never too big or too small to tackle a problem that’s plaguing one of our customers. Our current staff holds over 30 years of experience in the heating, cooling and plumbing industries which means that you won’t have to search the entire city for a contractor that can handle it all. We’ll take on whatever issue, whatever challenge, and whatever crisis you may be in that’s in dire need of repair. Why? Our mission is simple: to provide our customers with a peace of mind that comes from knowing their plumber is on their side. Over the past century, we’ve seen plumbing companies come and go, who are out to make money, not serve their neighbors and friends. We’re not just in it for the quick buck, we want to make sure that Torrance, LA, and all of Southern California has proper plumbing, heating, air, and electric when they need it and at a price they can afford. We’re not just another plumbing company: we’re members of the local Chamber of Commerce, the Board of Torrance-South Bay YMCA, and formerly the Torrance Memorial Medical Center Board of Trustees. We’re not just another crew who’s going to hassle you for high hourly charges, we’re your neighbors, friends, and trusted handymen whenever there’s a problem in your home or office.